The prompts that Mama Kat has are so easy. Every week I get the email with the new prompts for the Thursday link up and there is always one that stands out. One that I have something that I know I can write about. I know…. I know… you’re thinking, ‘well if they’re that easy why don’t you ever write?’ Good question and my answer is that I’m lazy. I’ve let blogging fall to the wayside and I’ve spent my time doing other things (getting my life in order more or less). Sometimes I’ve done nothing at all too, which is also pretty nice. So the prompt I picked…. The most exciting thing you purchased this month…. Well, hands down I would have to say that the deposit to the University of Michigan where my daughter will be attending this fall! 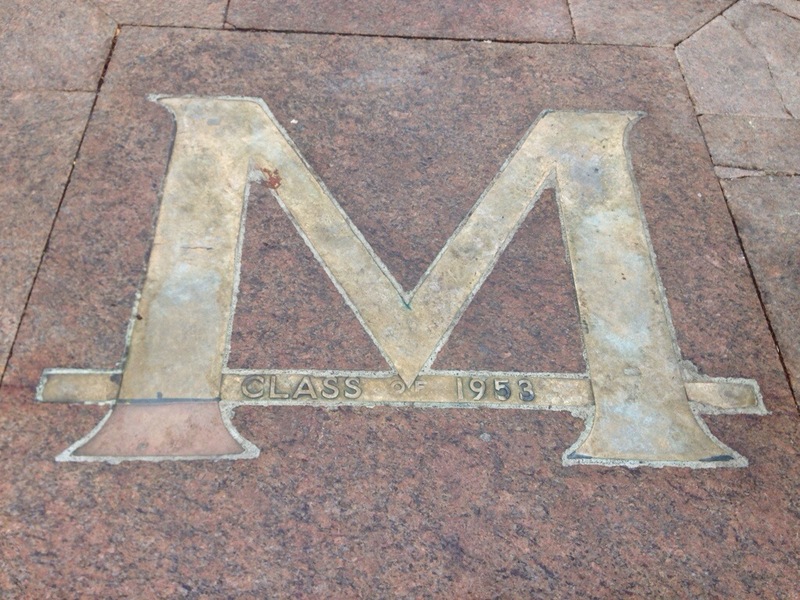 It really was exciting to spend the better part of the day at U of M walking around the campus, taking in everything that was going on, listening to my daughter tell me about all the buildings and some of the history behind them (she’s been there on a few tours so she knows a lot). Even in the middle of a Michigan spring where it’s a bit chilly, a little rainy, and lacking in leaves swaying in the breeze it was a beautiful campus. I can only imagine what it will look like come summer or even fall. The campus is right in the middle of Ann Arbor, nestled in a little valley, and is full of old trees, gorgeous architecture, and something new around every corner to explore. 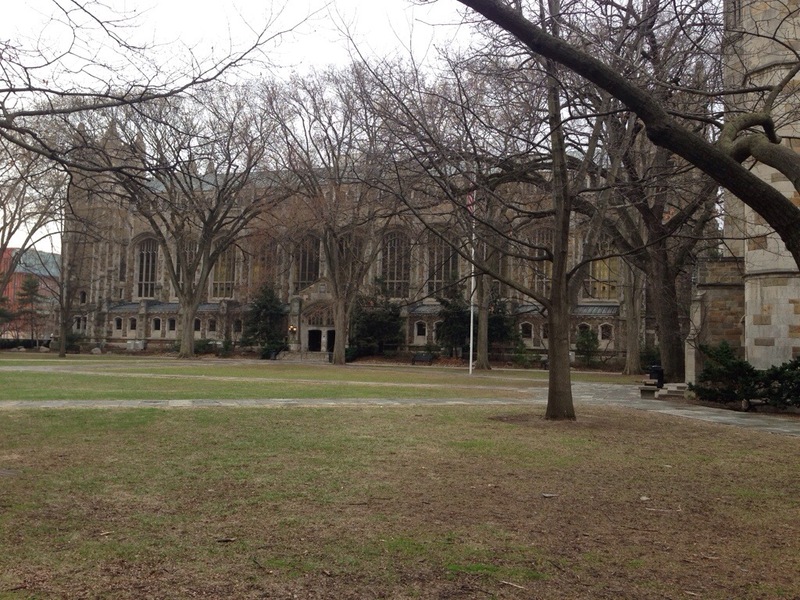 I can’t wait to see the law quad when all the trees are full of fall color! I think that it’ll look even more like Hogworts then! There is something exciting about putting down that deposit and not just for my daughter but for me as well. It’s a new chapter in our lives…. a little exciting, a little scary, and at times challenging. High school has been a long road and it’s coming to an end for her and when fall comes she’ll be off to a place that she absolutely loves. Knowing that she loves it there makes it a little easier for me… also that it’s less than 2 hours away helps too. So tell me… what is the most exciting thing you’ve purchased this month? 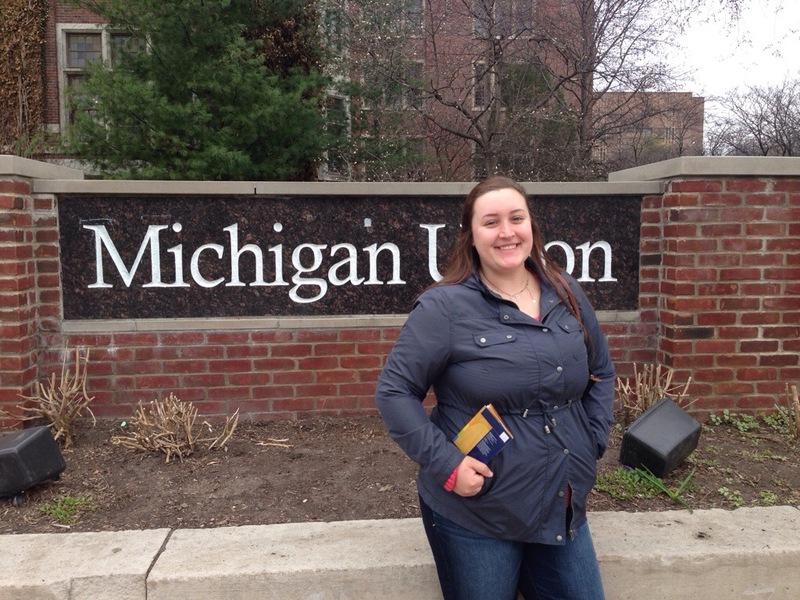 Can you top the U of M deposit? Disclosure: I received a gift card to purchase a HoneyBaked ham for this post. All thoughts & opinions are my own. Easter hasn’t always been one of my favorite holidays for one reason or another. But what I do like about it is that it’s the one meal where we always have delicious ham and scalloped potatoes. It’s so warm & comforting and I could eat it at least once a week. 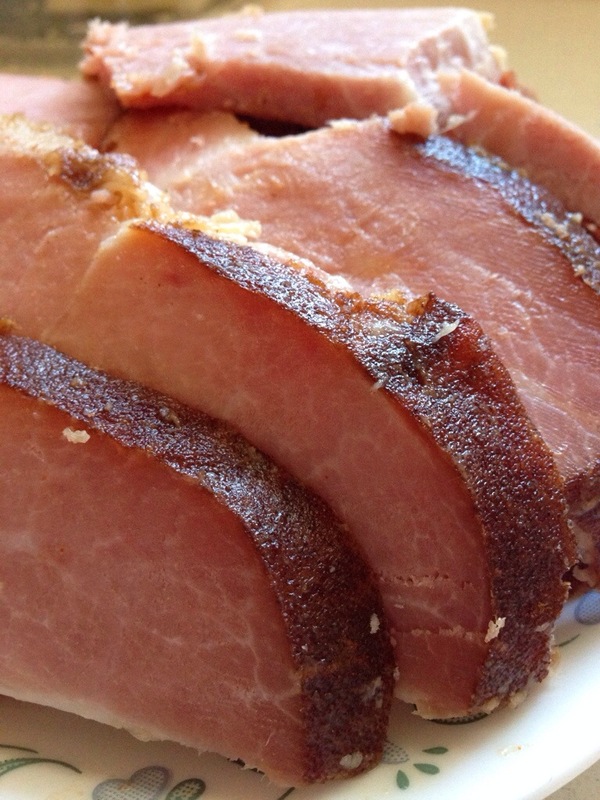 Of course we will have ham this Easter, but I didn’t save my amazing HoneyBaked ham for the upcoming holiday. Instead, I decided that I would I served it at my daughter’s 12th birthday party. Our birthday parties always include lots of family in addition to a few of the kids friends and instead of the traditional birthday dinner of pizza or sloppy joes I decided to change things up a bit. I went all out and served a HoneyBaked ham, potato salad, fruit salad, and baked beans this year. Everyone loved it! Even the kids. It really was a simple (I’m all about making things easy and simple) meal to prepare since the ham is already cooked and sliced for me. The hardest part was keeping all the fingers from grabbing ham as I was putting on a platter for the party. 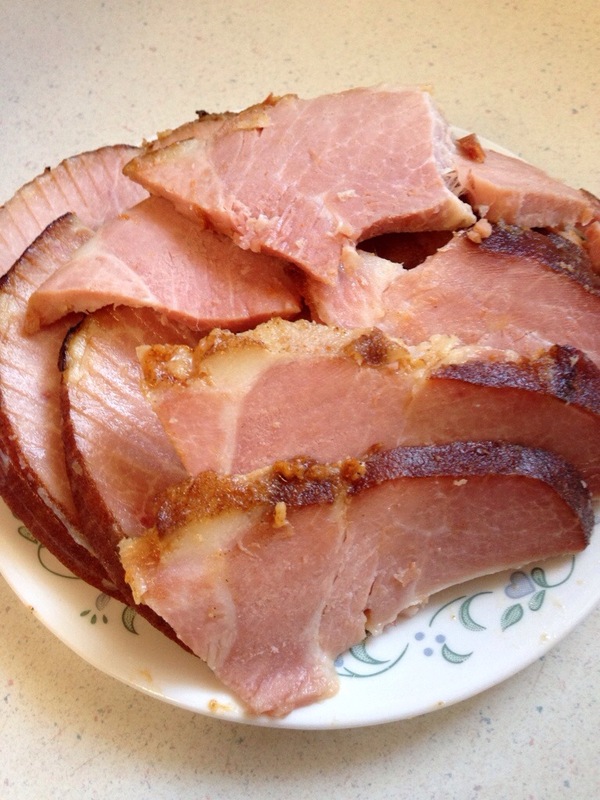 “Mmm… ham”, was often heard when my kids snuck a piece. I think that it made my daughter’s birthday party a little extra special this year too. I’m not sure what makes HoneyBaked ham so special. Maybe it’s the crunchy glaze that it on top of it, or the delicate sweetness of the ham, or it could be the ease in which you can easily grab a slice and eat it on the go. What I do know is that it makes the simplest birthday parties extra special as well as an amazing part of any holiday meal. Look at that crispy glaze! The HoneyBaked hams (and smoked turkeys) are perfect for sandwiches too! I know that we’ve made an entire dinner out of leftover ham sandwiches alone and they were great. I also highly recommend the cinnamon walnut coffee cake… I’d share a pic of the one we had but my family ate it so fast that I barely had time to grab a piece for myself. 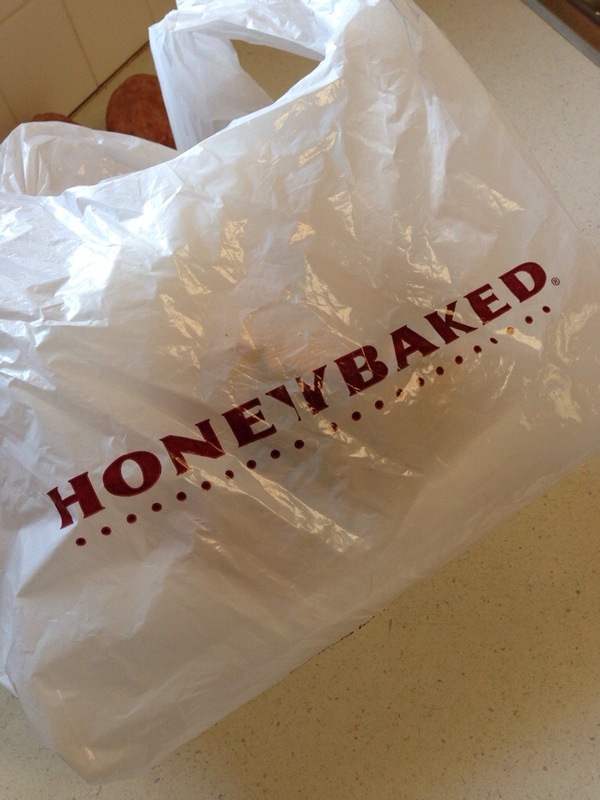 If you’re looking to make your Easter super simple this year keep HoneyBaked in mind. They have a lot of great deals going on right now with in-store specials. OR one of these great coupon deals! You can also win a $50 gift card to HoneyBaked!! Enter below using the super easy Raffelcopter. Welcome to St. Patrick’s Day! I heard on the radio this morning that this is the day that people consume the most alcohol! I was surprised to say the least… of course the dj went on to share several other tid bits of information (which I can only imagine being half true). As I continued my drive I was pondering St. Patrick’s Day and its meaning. Who was St. Patrick and what did he really do? Well, first of all he did not drive the snakes out of Ireland. That is purely an exaggerated story from hundreds of years of storytelling and there is even speculation as to whether he was truly Irish or not. Truth be told he was a fourth century Christian missionary who traveled teaching and spreading the word of the gospel after being kidnapped by Irish raiders. Patrick was held captive during this time and while there he worked as a shepherd in the hills of Ireland, alone. He spent much time in prayer and eventually was able to escape and return home. After his return home he began training to become a priest and then traveled back to Ireland to minister to the Christians there. He continued to do this throughout his life, becoming a bishop and then eventually a Saint. March 17th is the day that Saint Patrick died and it is a day of both a solemnity and a holy day of obligation in the dioceses of Ireland. In the early 17th century St. Patrick’s Day was made an official feast day by the church to commemorate Christianity being brought to Ireland as well as Irish heritage and culture. The day is celebrated with parades, festivals, and church services throughout the world. Here in the States… well, it’s a bit of a different story where many if not most do not now the true story of St. Patrick and what he really did.